Scenario: Conan identifies two things strange facts about Jamie's body; the finger was not on the trigger and she was naked under her robe. 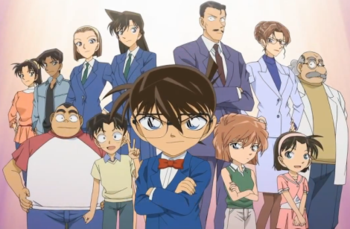 Conan realizes who the murderer is and plans to tranquilize Kogoro in order to solve the case. 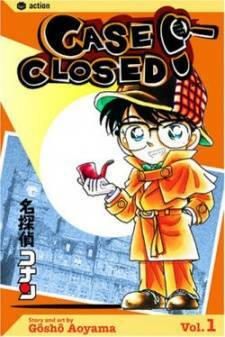 Conan instead decides to drop subtle hints and let Richard solve the case. Kogoro solves the case, identifying that Jamie died later than originally estimated, exercise from table tennis caused her body to undergo rigor mortis much earlier. He identifies Craig as the murderer. Craig confesses that he has dated Jamie for eighteen years and he proposed to her multiple time but she always turned him down. When he became engaged to another woman, Jamie terrorized them both. He confesses that he picked up the gun from the robbery earlier. He saw it as a sign to murder Jamie.